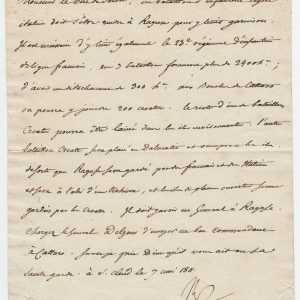 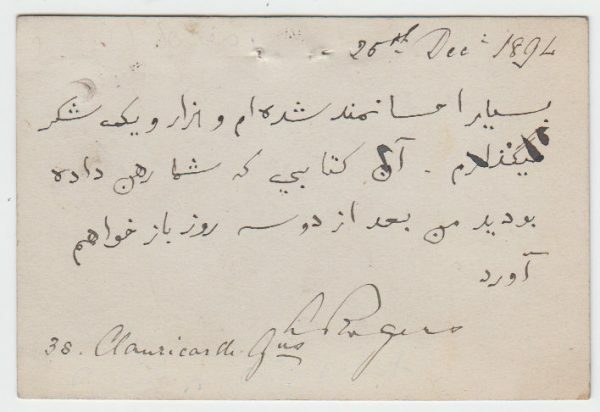 Autograph Postcard in Arabic, signed ‘A.Rogers’, addressed to Sir Edwin Arnold, 225 Cromwell Mansions. 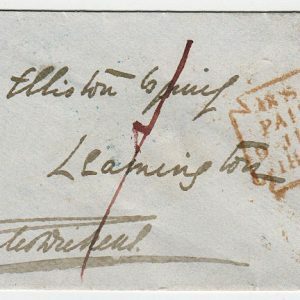 3 x 4 inches, franked, Paddington postmark. 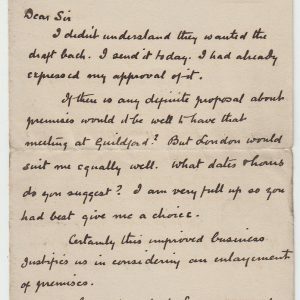 38 Clanricarde Gardens, 25 December 1894. Alexander Rogers, noted Orientalist, author and translator.